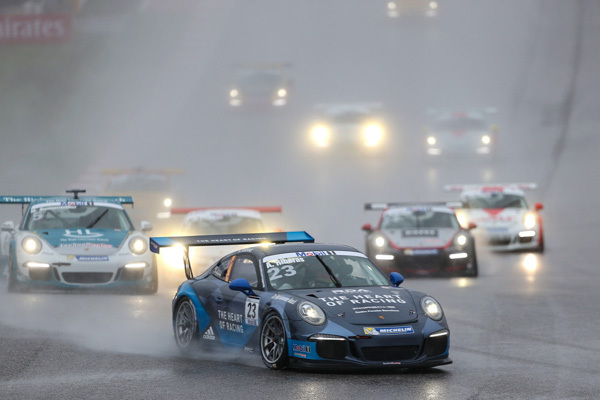 The new champion of the Porsche Mobil 1 Supercup is Philipp Eng (A/Market Leader Team by Project 1). 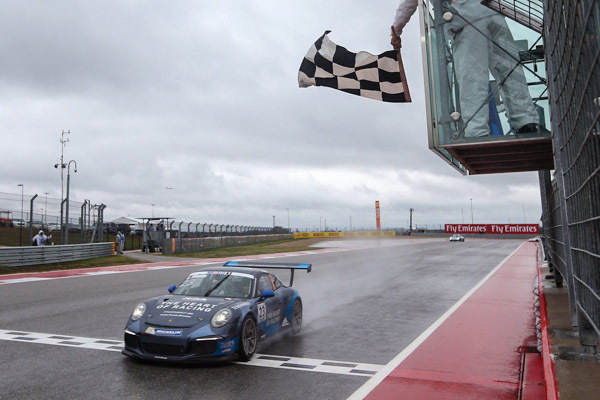 After Porsche Junior Sven Müller (D/Team Lechner Racing Middle East) had fought his way up the ranks to hold second overall in the series, third place at Austin, Texas, earned him enough points to take home runner-up honours. 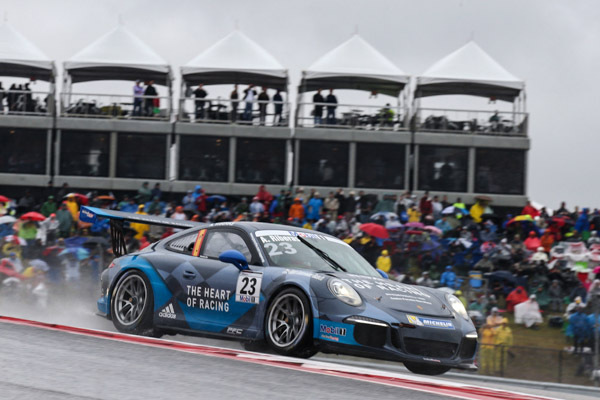 In a wet race on the Circuit of the Americas, Alex Riberas (E/The Heart of Racing by Lechner) pocketed his first Supercup victory in his 460 hp Porsche 911 GT3 Cup and relegated Michael Ammermüller (D/Lechner Racing Middle East) and Müller to the other podium spots. 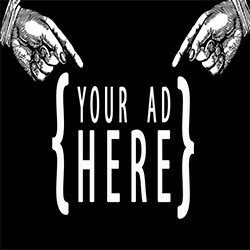 “As I crossed the finish line I screamed for joy over my title. This is the greatest success of my career until now and I’m grateful for the support that I’ve received from all sides,” said a delighted Eng. 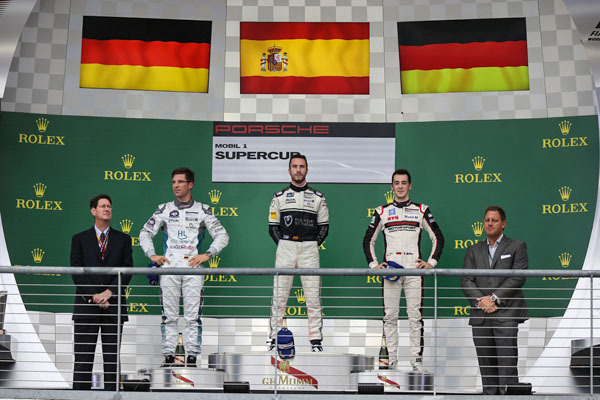 The German also recently netted the title in the Porsche Carrera Cup Deutschland. After the tenth and penultimate race was cancelled on Saturday without a replacement round due to torrential rain, everything ran to schedule on Sunday. Müller started from pole position with Riberas alongside him on second. Due to heavy rain, the pair spearheaded the entire 28-strong field behind the safety car for the first two laps. When the race went green, Lechner was unable to shake off his Lechner teammate Riberas. On the slippery track surface, which was flooded in parts, Riberas launched repeated attacks and finally swept past Müller in the sixth lap. 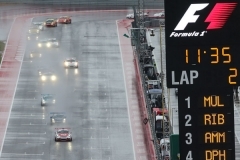 “It was a race of extreme conditions. I’m really thrilled that I could bring home a win from Austin. Sometimes luck just wasn’t on my side this season,” explained Riberas, who climbed the podium three times this year and ultimately ranked fifth overall. After Ammermüller overtook Müller in lap eight, the positions were set. “It felt a little like I was in a carwash out there today. Suddenly water was everywhere and, as the race continued, my tyres lost their grip. Third is okay and I’m happy to have won the vice championship in the Supercup,” said Müller. Trailing the 23-year-old Porsche Junior, Jeffrey Schmidt (CH/The Heart of Racing by Lechner) put in a strong drive to finish on fourth. 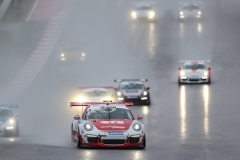 The American Porsche Junior Connor de Phillippi (Verva Lechner Racing Team) finished in fifth ahead of Britain’s Ben Barker (Momo Megatron Team Partrax). 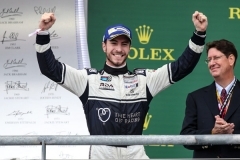 “This was my home race and I’m pleased I could achieve such a good result in front of my family,” stated de Phillippi. 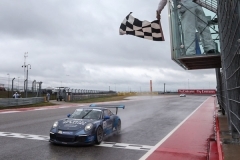 Christopher Zöchling (A/Fach Auto Tech) took the flag in seventh before the newly-crowned champion Eng. 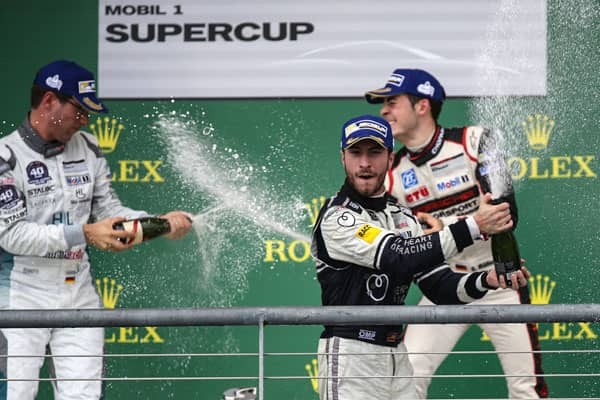 The 19-year-old Porsche-Junior Matteo Cairoli claimed eleventh and won the rookie classification for the best newcomer. “At the end of the race I wasn’t sure if I’d managed it. But then they told me over the radio. It was a close call. I’m happy to have won the title of the rookie championship,” said Cairoli. The trophy for this year’s team championship goes to Lechner Racing Middle East. 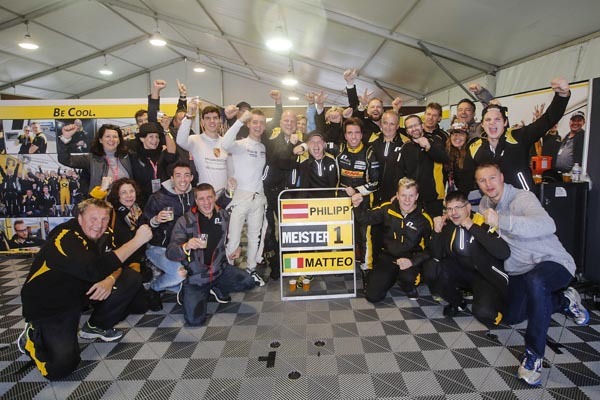 The team under Walter Lechner Senior earned the most points thanks to drivers Müller and Ammermüller.